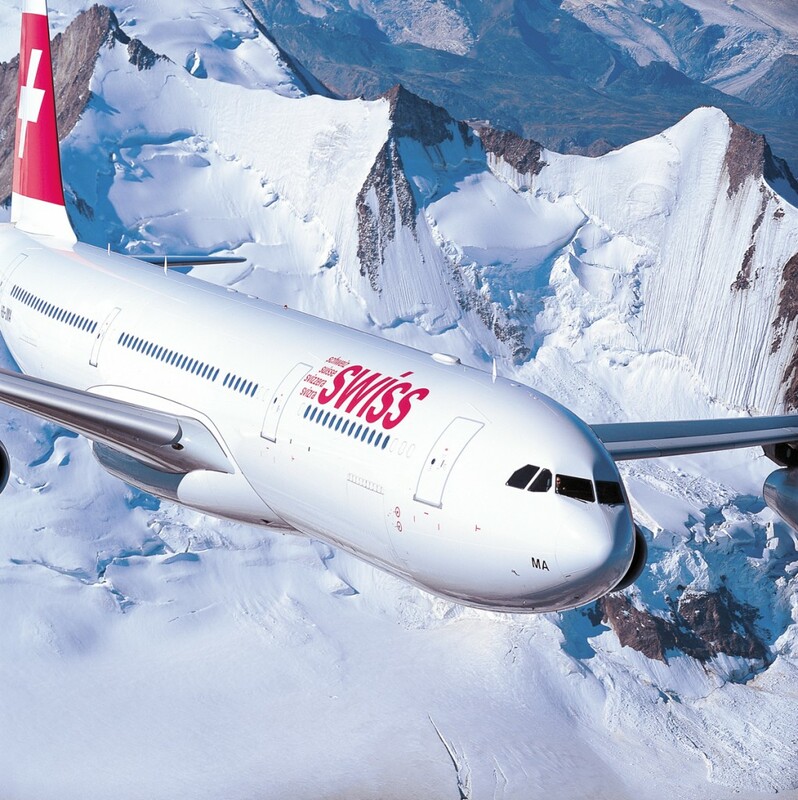 Swiss has added a new destination Beijing to there large route network and they have recently overhauled there Business Class. 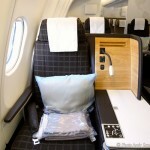 So it was time to experience there Business Class product. 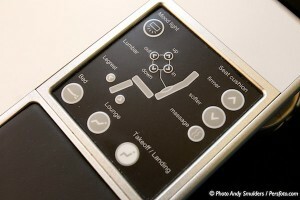 I was told that it is an excellent product, but I want to experience this for myself. 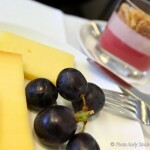 I arrived one day before my flight to Beijing would depart in Zurich as I had a meeting in Zurich first. 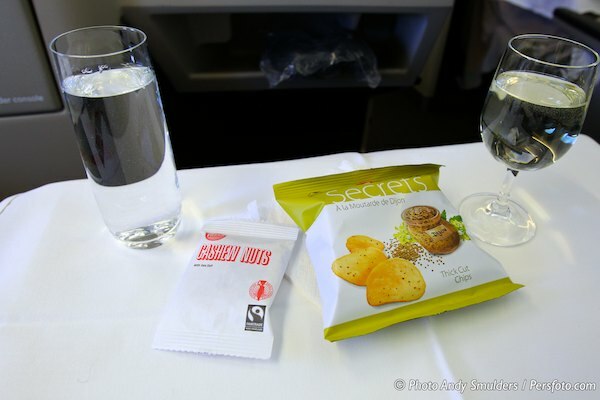 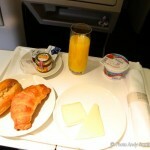 The Business Class flight from Amsterdam to Zurich went fine ( as always ). In November 2008, Edelweiss Air was integrated into the Lufthansa Group and is today an affiliate of SWISS. 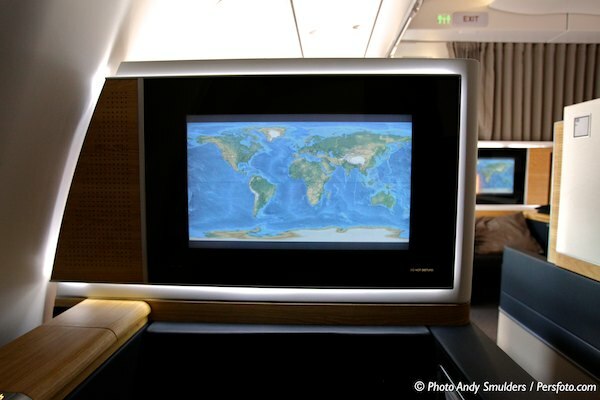 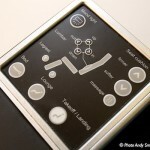 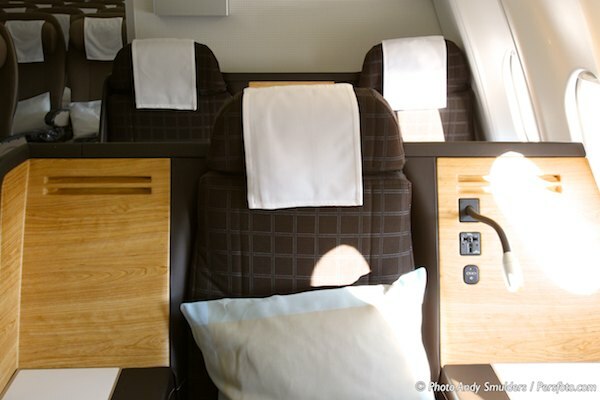 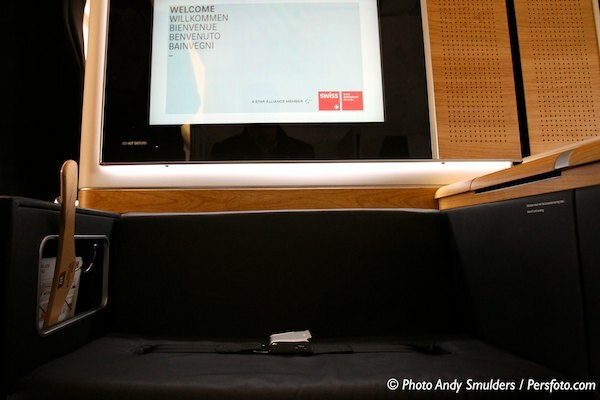 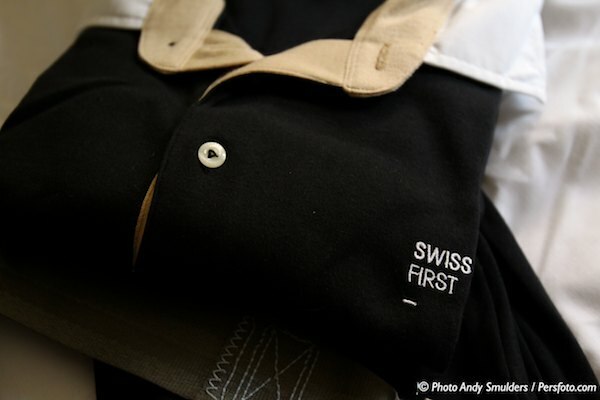 The Swiss Business class seats on short-haul flights are upholstered in leather on the Swiss Airbus planes. 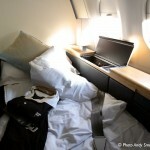 After a night rest I went to the check-in desk to check in for my Business Class flight to Beijing. There was no queue at the desk and the check-in went fast and very professional. 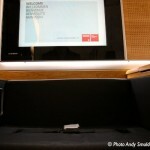 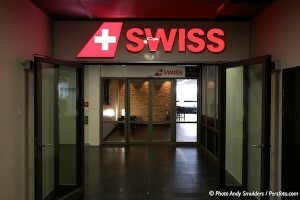 I was invited to visit the Swiss Business Lounge. 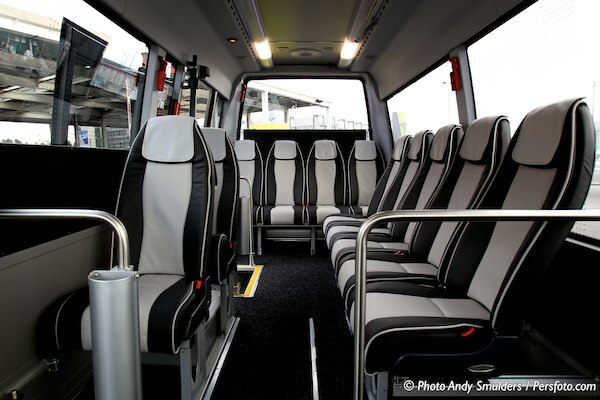 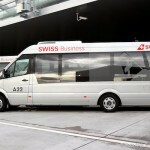 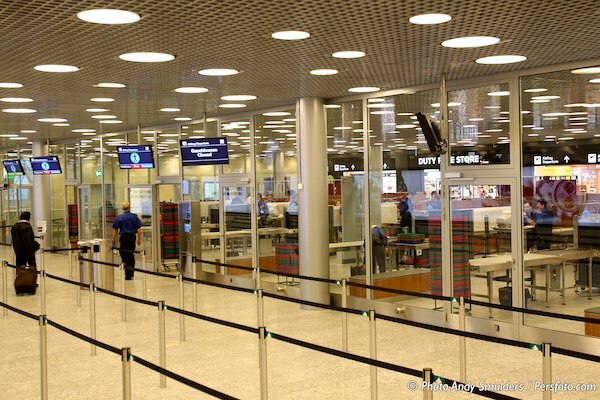 If you arrive at Zurich Kloten Airport and the plane parks not at the gate, the First- or Business Class passenger will be transported to the plane by a luxury Mercedes Sprinter for your connecting flight or immigration if you have a connecting flight. 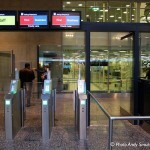 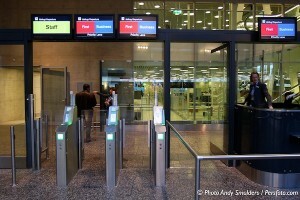 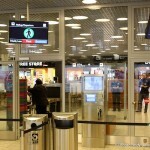 I went to the new security area, where there is a special fast lane for First- and Business Class passengers. 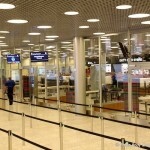 It did not take very long to pass security as a lot of lanes where opened. Swiss long-haul flight leave all about the same time, so it is busy at this time of the day. 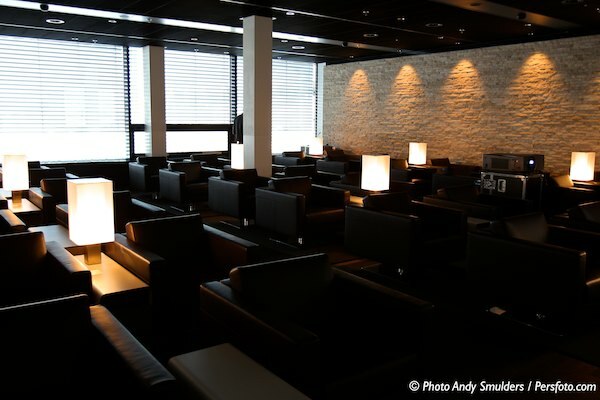 I arrived at the Business lounge and yes it was busy, but I found myself a nice comfortable seat and there was enough food and drinks to choose from. 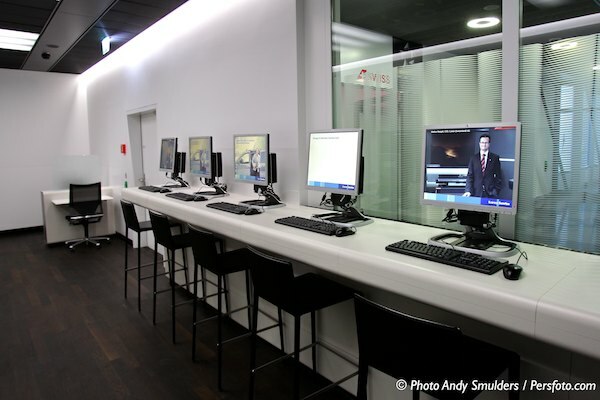 As the airport does not offer free Wifi service, you can get a voucher at the frontdesk of the Business Lounge, so you have 2 hours of free internet. 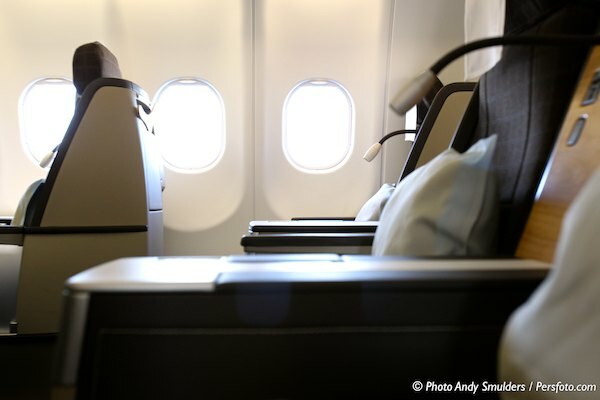 If you run out of time or have to stay longer than 2 hours at the airport, you just get a new voucher and your 2 hours starts again. 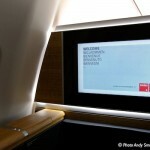 A great way for First- and Business Class passengers to use the internet. The service in the Business lounge was great, even as it was very busy, there was enough staff to clean up the tables and to refill the drinks and food. 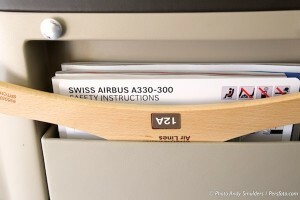 It was time to get to my flight to board the Airbus 340-300 to Swiss new destination Beijing. 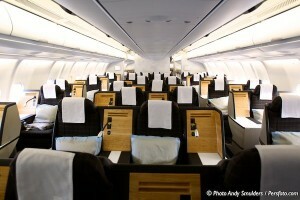 First- and Business Class passengers pre-board the plane. 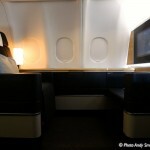 The airbus 340-300 got 8 First Class seats and 47 Business Class seats. 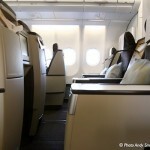 The Economy Class passengers are not boarding or walk through the First- and Business Class cabin section. 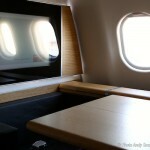 They board behind the Business Class cabin. 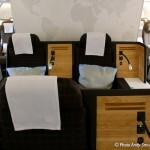 The airline’s Airbus 340-300s, all received the new innovative Contour Vantage seats. 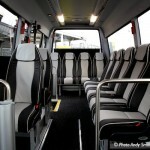 The seat is also notable for its use of a fully pneumatic air cushions, which mean that the seat’s firmness can be adjusted to the passenger’s preference. 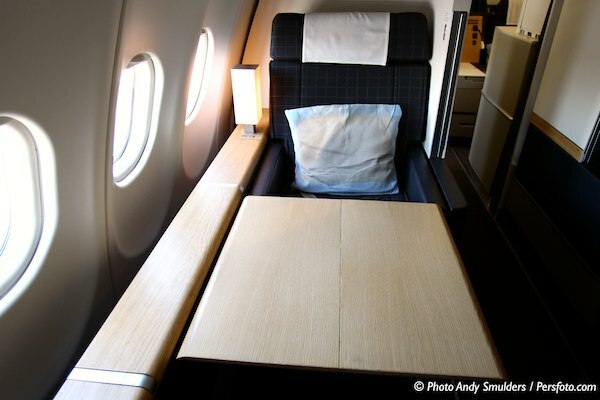 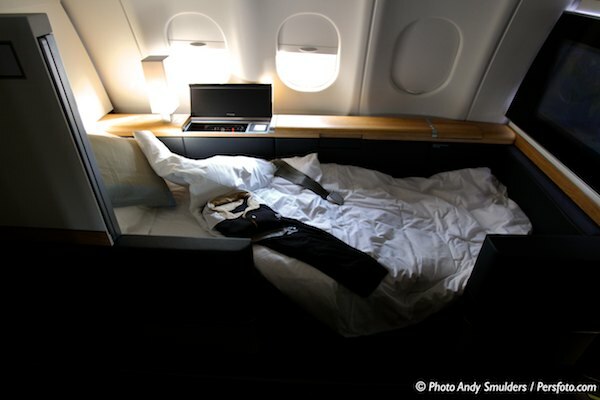 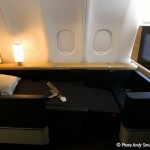 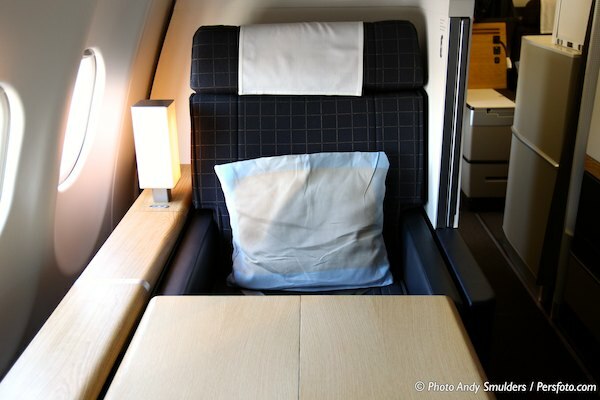 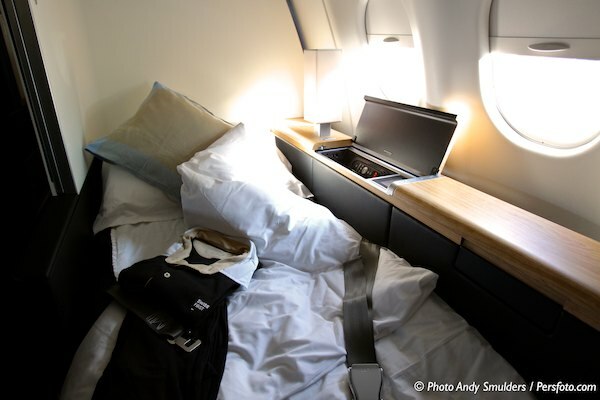 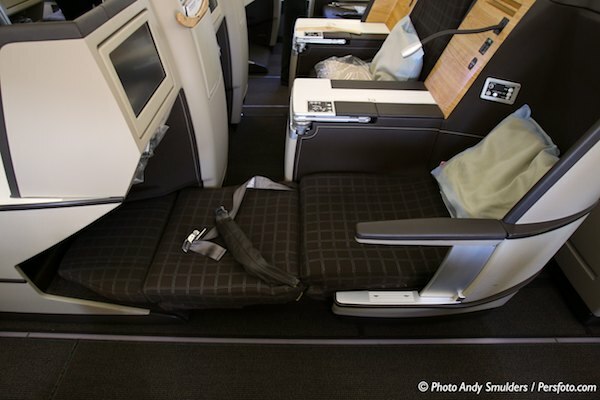 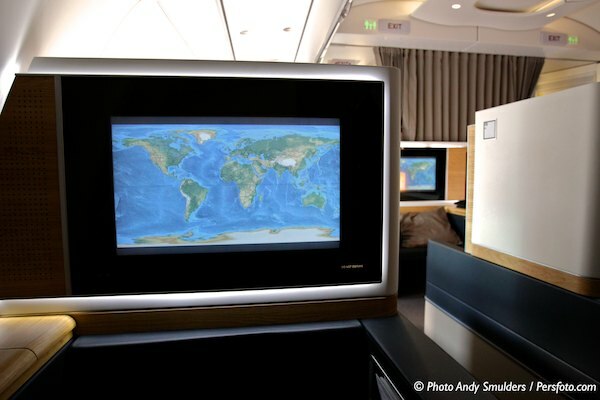 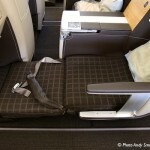 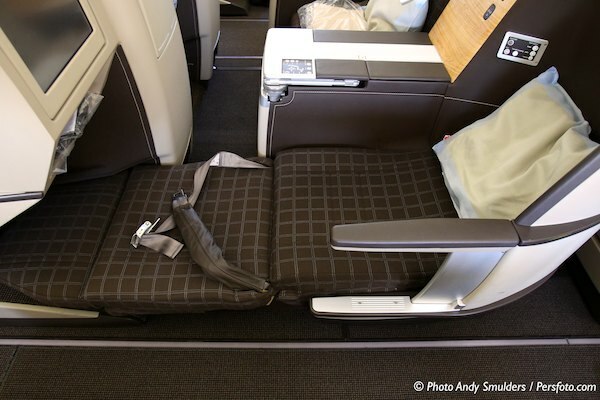 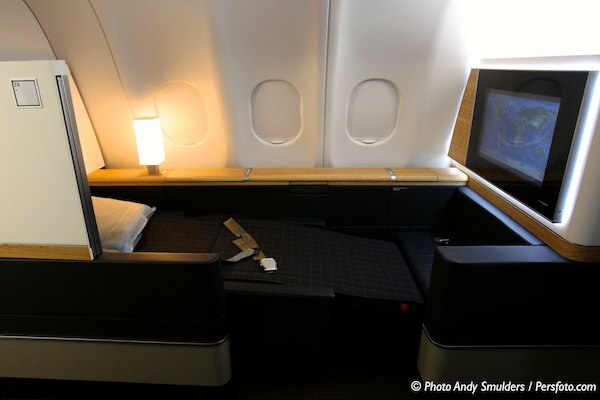 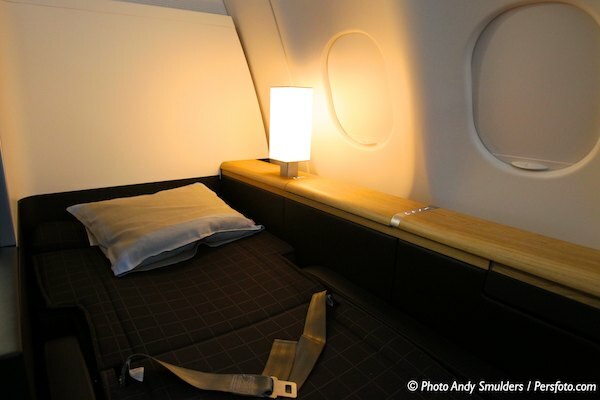 This Business Class Lie-flat seats are also installed on the Swiss Airbus 330-300. 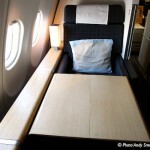 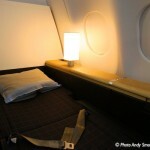 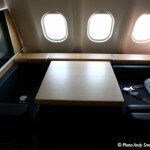 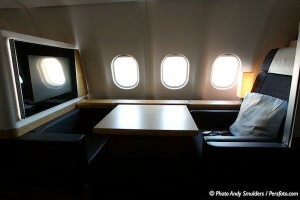 The only thing different on the Swiss Airbus 340 is, that they still have the old First Class seats onboard. 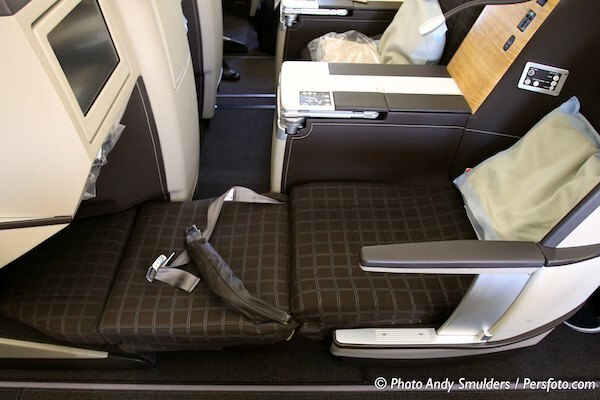 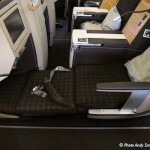 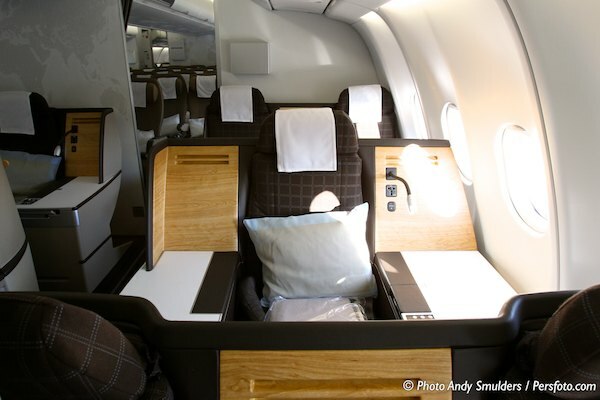 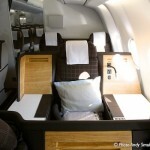 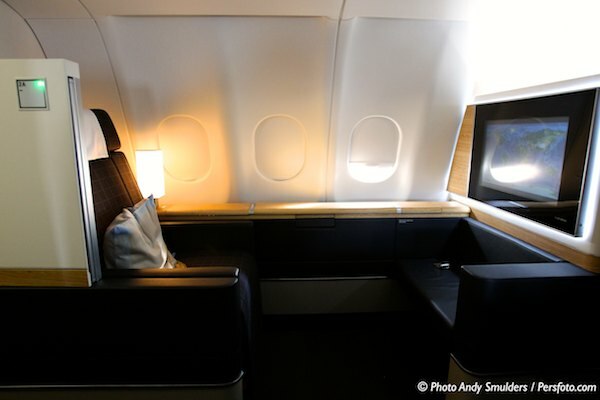 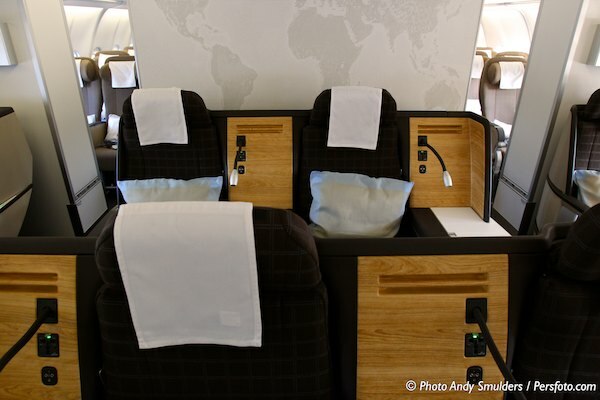 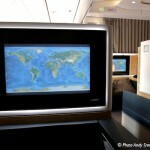 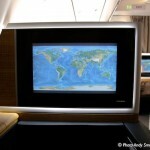 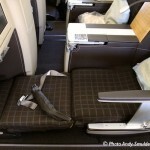 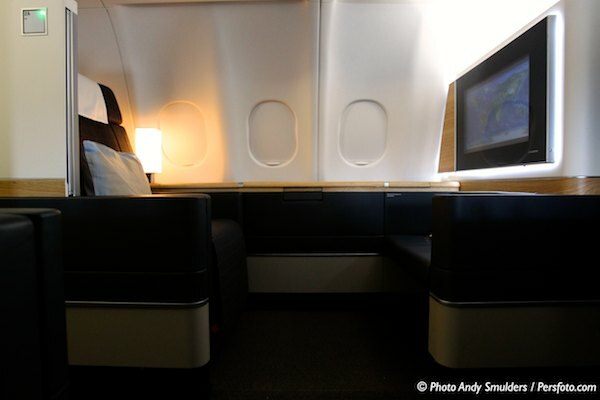 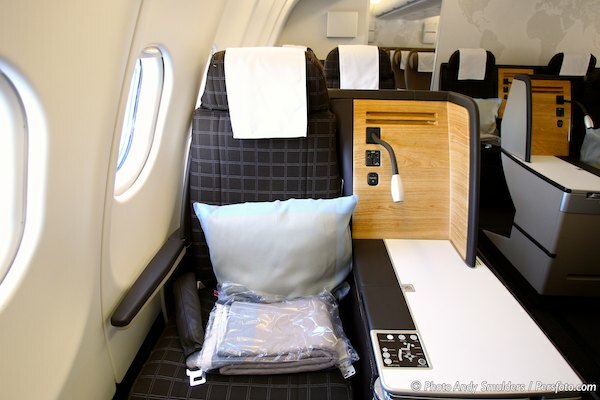 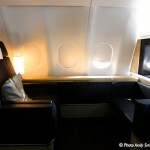 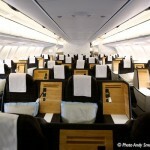 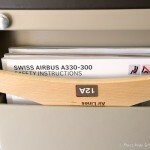 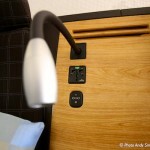 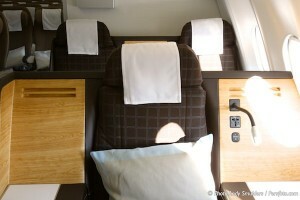 The new Swiss First Class seats (as shown in the images below) are only installed on Swiss’s Airbus 330-300. 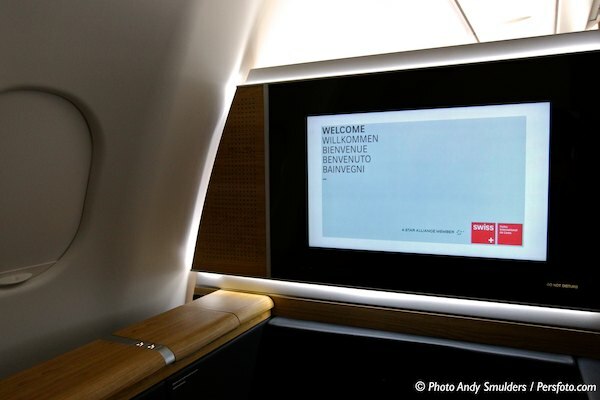 To maximize passenger comfort and choice of your seat, Swiss has created a Business Class cabin configuration in which the seat rows have a 1-2-1 and a 2-2-1 configuration. 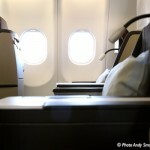 This means that there are only five seats which don’t have a direct access to an aisle. 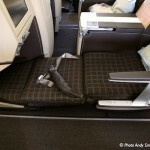 On one side there are only single row seats. 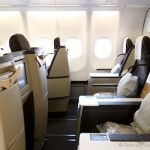 In de middle you have 2 rows seats. 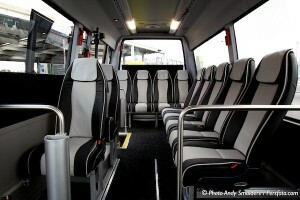 On the other side you have rows with 2 seats follow by a single seat. 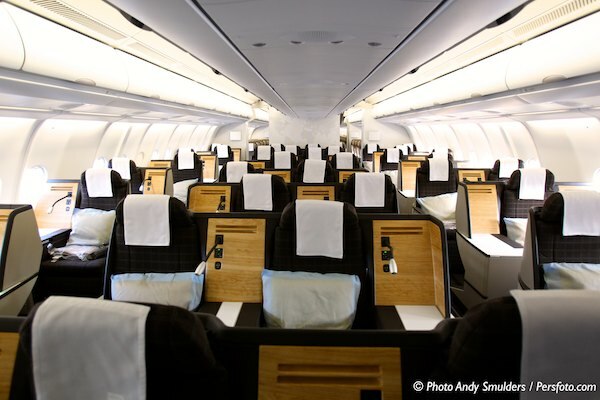 If you have a single seat in these rows you have a table to your right and left. 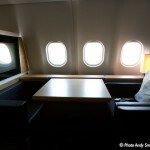 You have an incredible space to work in these seats. 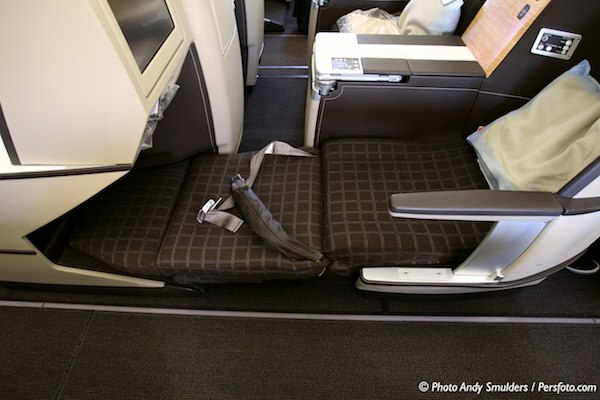 The reason for this seat setup is that the seats are placed out of line to create more space for you feet. 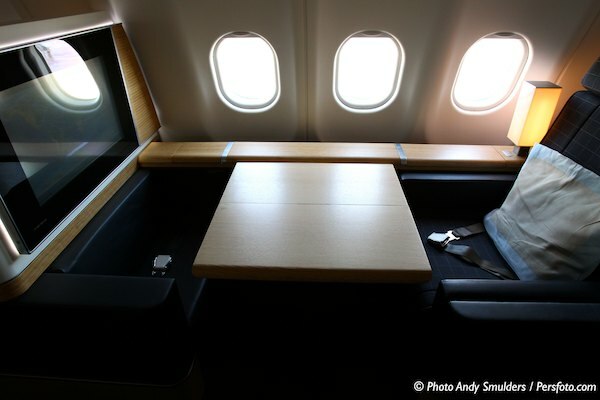 If the seat creates in a over 2,00 meter ( 6 feet 6 inches ) bed, you feet glide under the table in front of you and not under the seat. 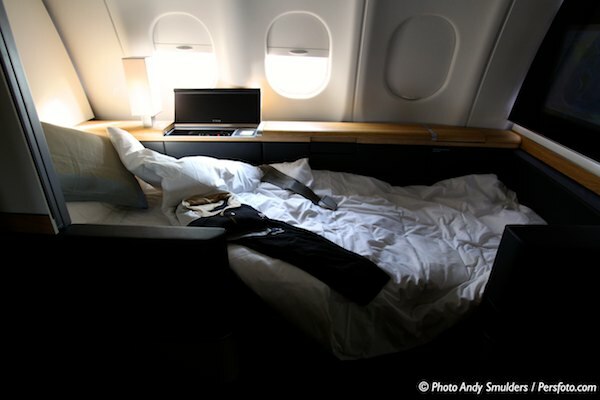 Especially if you are tall, your feet will have all the space to move. 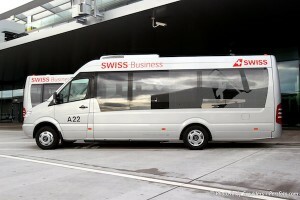 A great concept as the people from Europe are getting taller and taller. 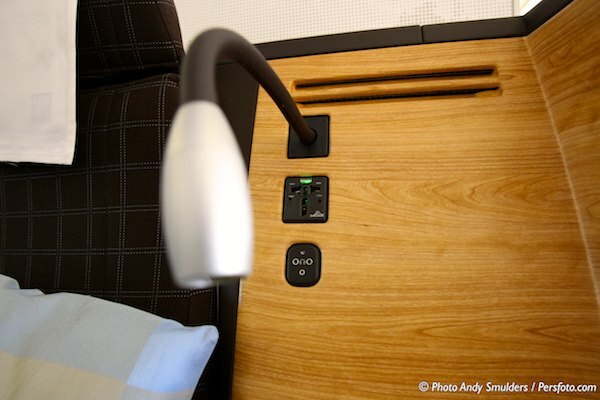 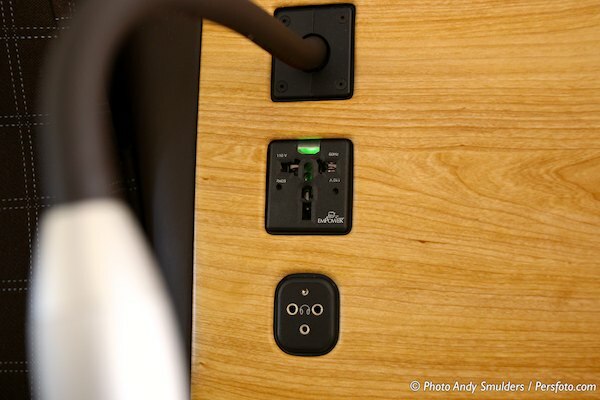 The seats are fitted with all the latest technologies onboard, like a power charger for your laptop and reading led light. Each seat comes with a side-panel control-unit, which controls the recline position and offers a back massage. There are 3 pre set positions fore the seat, upright for take-off and landings, a lounge position and of course the fully Lie-flat position. 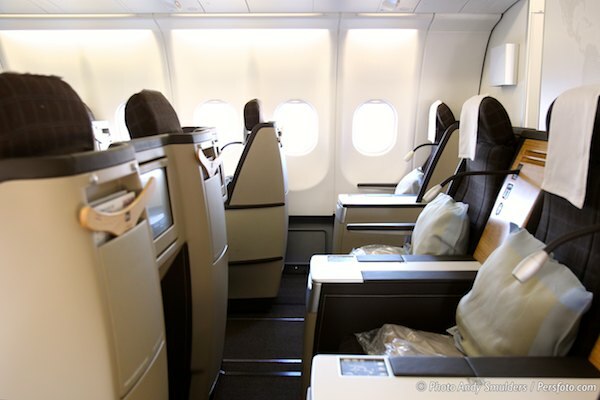 The seats are not filled with foam but with air pressure and this gives the passenger the oppertuinity to adjust the hard and softness of the seat to there own comfort. 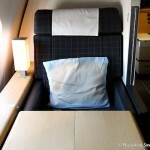 The Business Class seats Swiss has introduced are the most comfortable seats that I have ever flown in Business Class. Maybe also because I am tall ( 1,95 cm ) I found myself enough space to rest and even sleep. 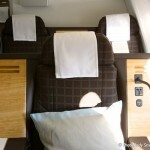 The cabin is furbished in nice light brown colors, they might have to refurbish it more often in the feature than other colors, but the colors fit perfect with Swiss. 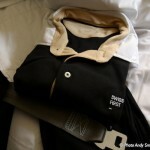 I was welcomed by the friendly staff and they asked me if they could hang my jacket away. 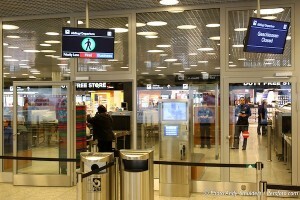 No boarding passes anymore that where used to see which jacket belonged to which passenger. 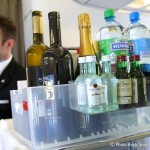 After the welcome drink, it was time to get ready for the flight. 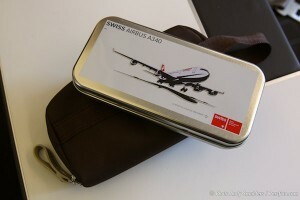 I found the aminity kit very nice, Ear Plugs, Socks, Lip balsam and Eye shade where presented in a tin decorated box with the Airbus 340 on top. 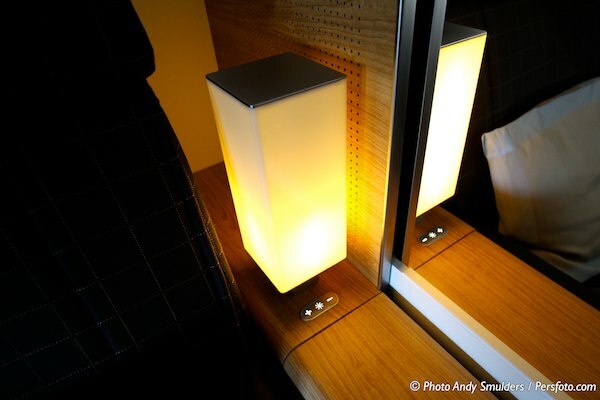 All the other things like a Razor, Toothbrush and Moistening Cream can be found in the washroom. 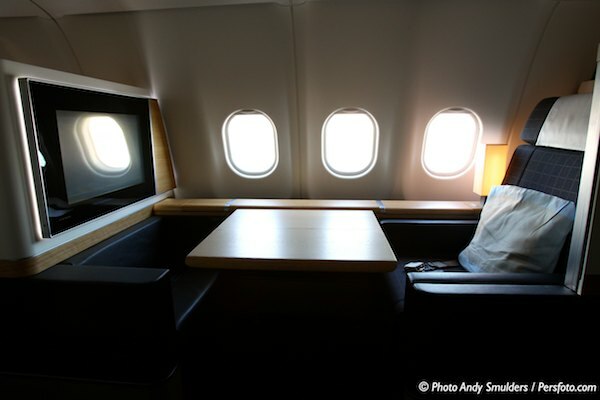 The airbus 340 throttles up there engines for the 9 hours and 50 minutes flight to Beijing and I always wonder if the airbus 340 will get of the ground. 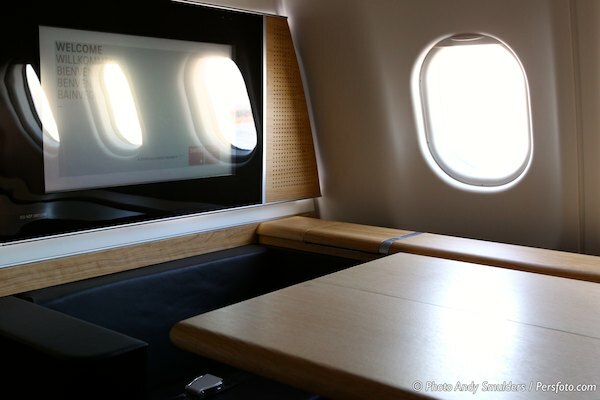 If always is a comfortable take-off onboard the airbus 340, but it feels like it is not speeding up as fast as a Boeing 777. In 2014, Swiss will replace there airbus 340’s for larger jets, most likely a choice between the Airbus 350 or the Boeing 787 Dreamliner. 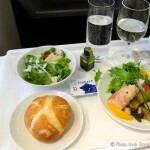 After take-off we where getting ready for the meal service. 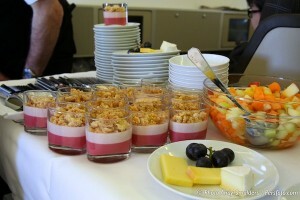 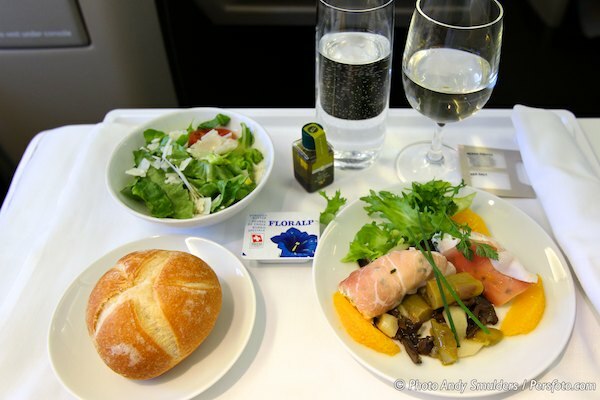 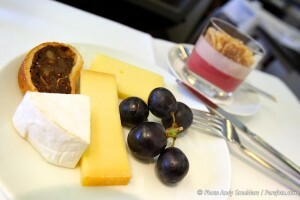 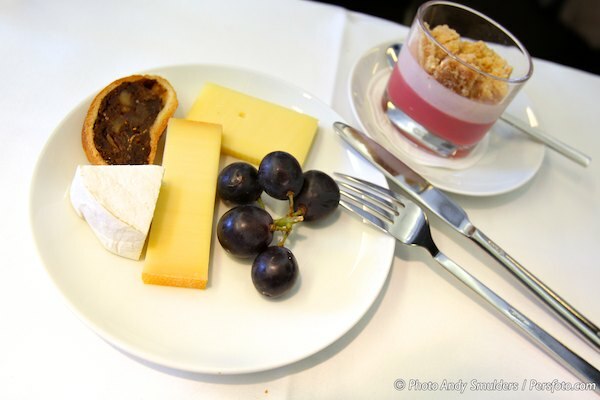 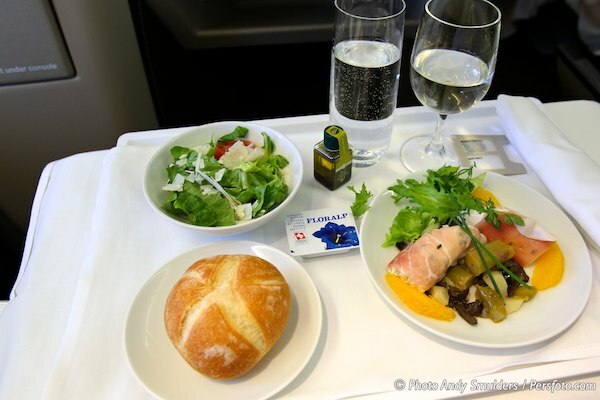 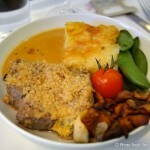 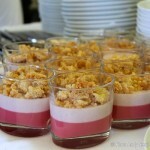 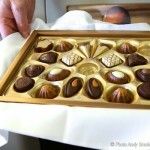 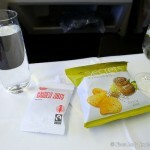 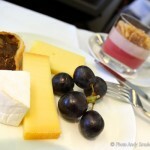 The meals Swiss International Airlines are serving onboard are been prepard by Gate Gourmet in Zurich. 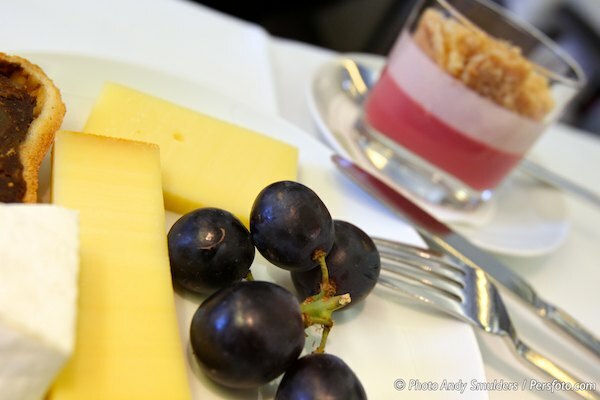 The SWISS Taste of Switzerland menu features a different, leading Swiss chef’s dishes every three months. 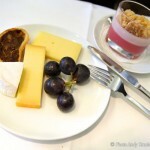 On my flight the meals where prepared by chef Jan Leimbach of the five-star-superior Lenkerhof resort http://www.lenkerhof.ch/ at Lenk. 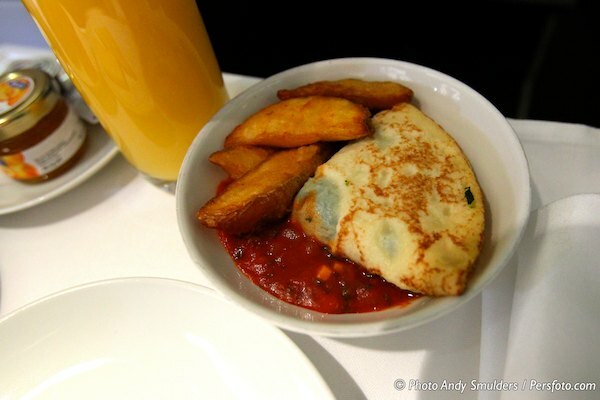 The meals are served directly from a trolley and there are no standard plates served. 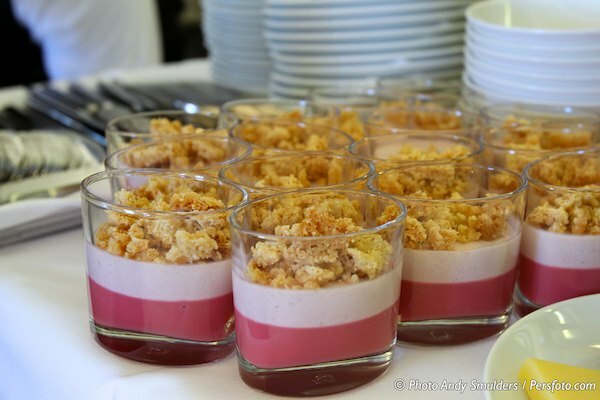 This gives the foodservice something special. 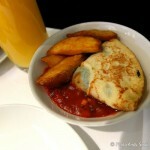 The dishes are well balanced and they offer plenty of variety in choices. 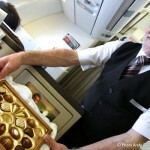 At the end you will finish the meal service with, Swiss Cheese, Coffee and of course Swiss Chocolate. 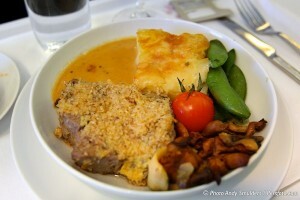 The food was incredible tastfull and tasted like meals served on the ground in a luxury restaurant. 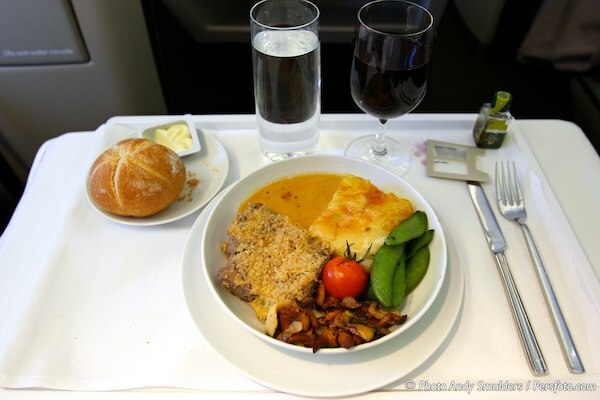 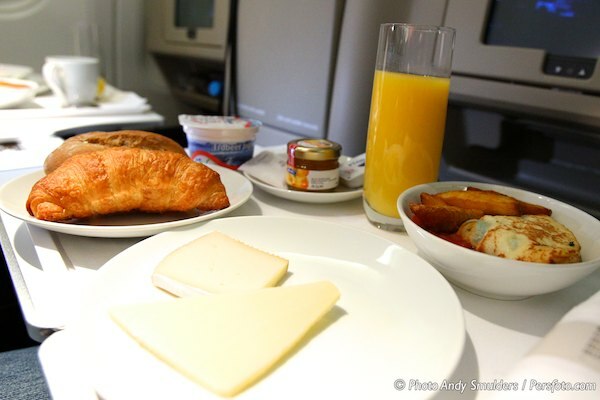 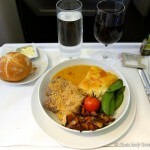 If you fly Swiss take the time for the meal service and enjoy yourself. 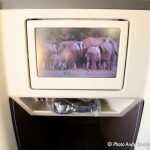 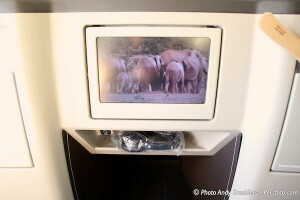 After the meal service it was time to watch a movie onboard there Inflight Entertainment System. 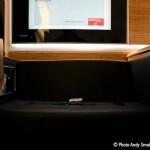 The IFE systems is a system on demand, so you start the movie when you want too. 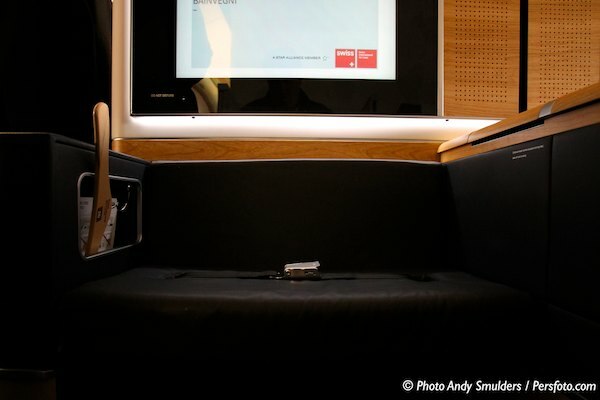 There are lots of choices of things to see or listen onboard. 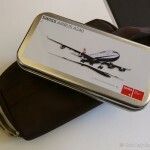 From the latest movies till the latest sports games or the latest albums from all kinds of singers can be heard through the noise reducing headphones. 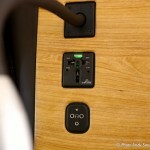 I connected my Macbook to the power unit for 2 hours and finsihed my work. 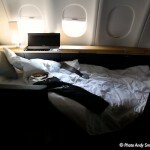 It was time for some sleep as I would arrive early in the morning in Beijing. 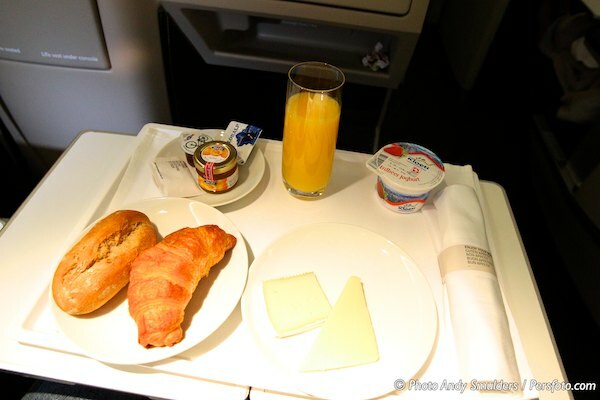 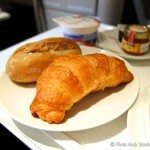 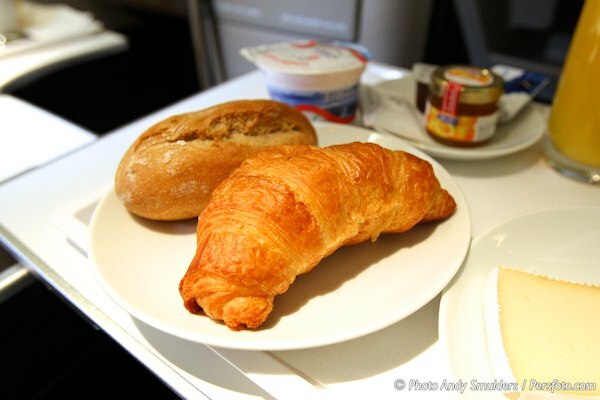 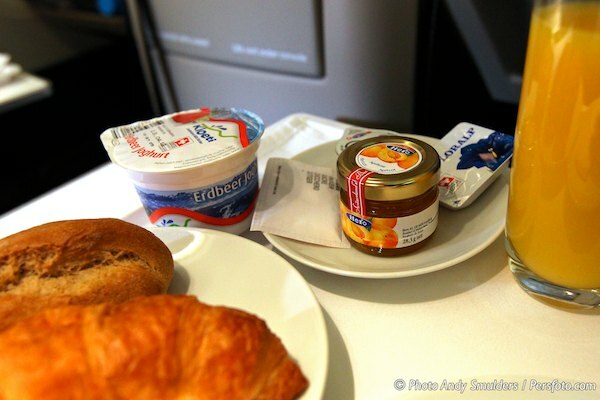 2 hours before landing the cabin lights went on and the amazing Cabin-crew started with there breakfast service. 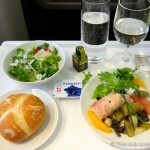 It tasted as great as the dinner service. 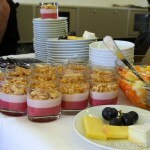 But because I was still full of the excellent Dinner service (and could not eat that much anymore) it was a light breakfast for me this time. 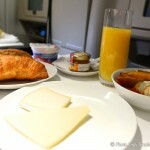 Fresh Orange Juice and a lovely French Croissant with Marmalade and finishing up with a cup of Coffee was enough for me. 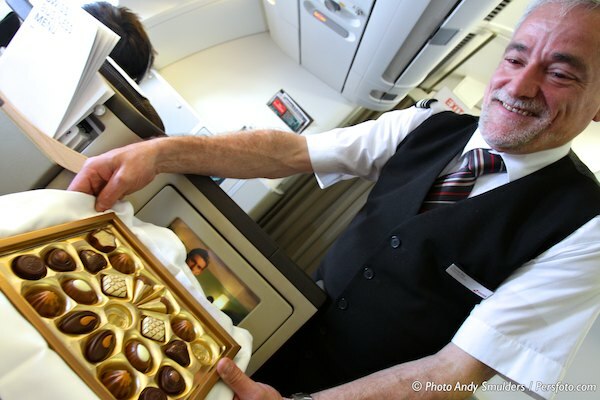 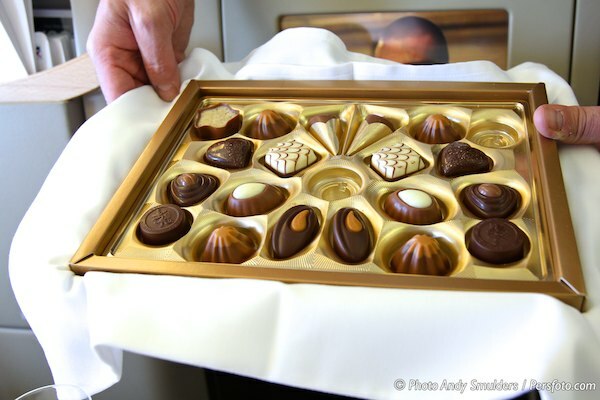 Swiss In-flight service standards are amazing, that good and personal. 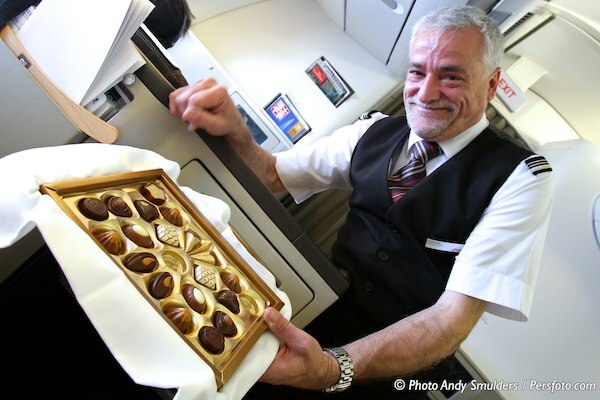 The service by the crew is personal with a smile and as I also can speak German it was no problem for me. 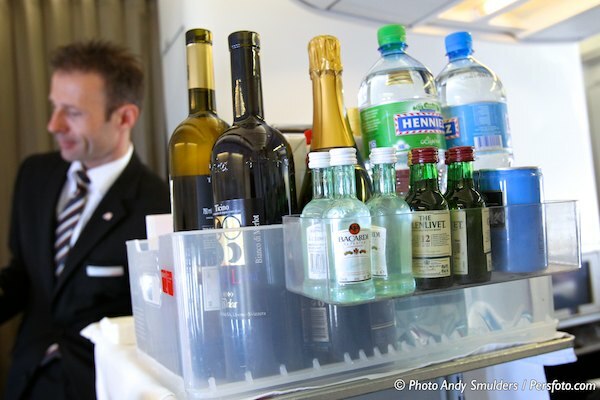 All of the airline’s flight attendants speak at least two languages, but it is always nice to talk in your maiden language during the flight. 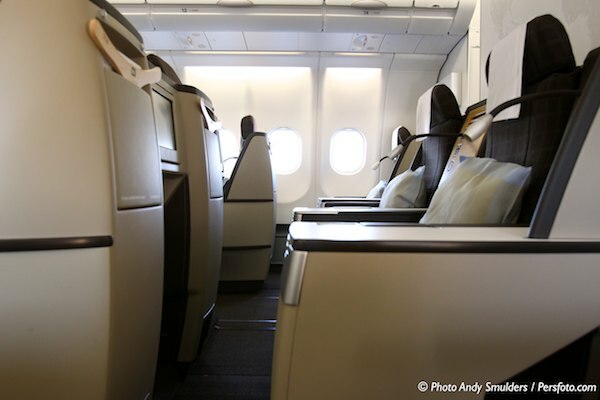 Soon it was time to fasten the seat belt for landing at Beijing Capital International Airport and exploring Beijing. After arriving at the gate it still takes a 30 minutes to pass immigration, customs and the train ride to the luggage collection belt. 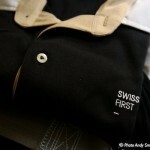 My bag was the first one on the belt to arrive so the Business Class Priority Labels did there job. 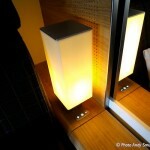 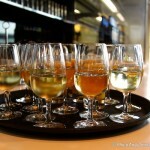 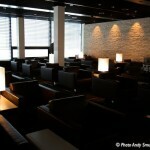 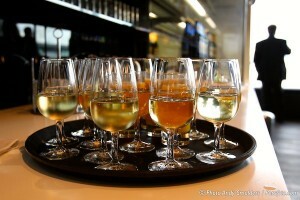 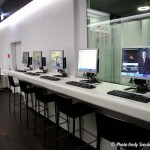 On my return flight to Zurich, the Business Class passenger can use the Air China Lounge. A nice, big and trendy lounge. 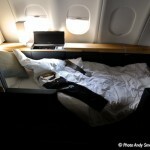 My return flight to Zurich went as great as the flight to Beijing. This means that Swiss ( International Airlines ) is one of the great and excellent airlines in the World. 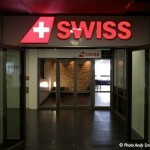 If you want to experience something special, fly Swiss, I will sure fly them again.